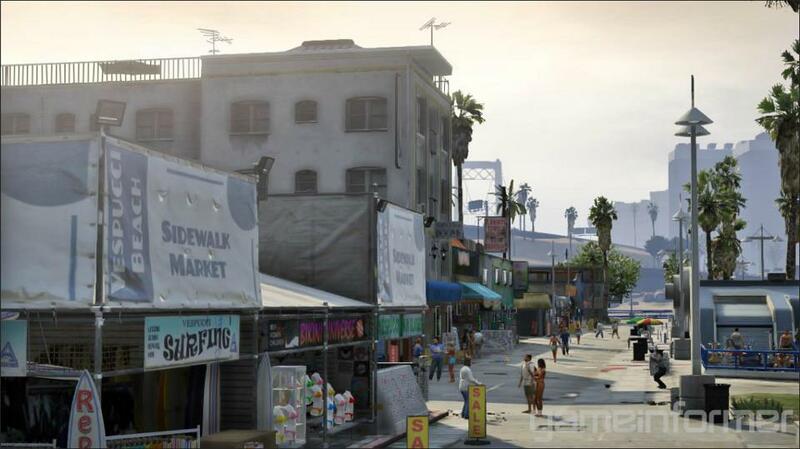 Legal highs and bad t-shirts aren't the only things being pushed on Vespucci Beach. Four factions raid each other's stashes for control of the area's 'tourist trade'. Take product back to your spot and it's yours. Like any military operation, when things kick off at Fort Zancudo Air Base, they escalate pretty quickly. Teams stockpiling weapons to sell on the black market raid each other's bases at either end of the facility. If they get the goods back, they're banked. Nothing's off limits to be used here, including the fighter jets. 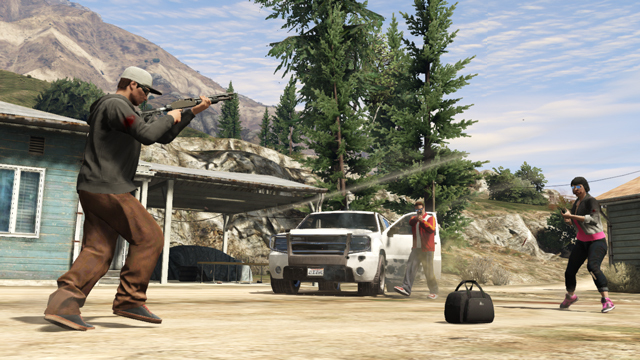 Fight for exclusive import rights at LS Int'l in one of the new Capture mode Jobs in GTA Online. Gang violence escalates in Chamberlain Hills, as block fights block at close quarters. Four factions with two packages each try to raid each other and protect their own stuff. If they get someone else's product back to their turf, they'll have to protect it. Compete to get buses back to your base in 'All Abhorred'. Four East Los car thief outfits compete to get hold of a shipment of Sanchez dirt bikes, and store them back at their bases, while preventing the other teams from doing the same. First place to look would be the Maibatsu Factory. A tractor shortage in Grapeseed leads to farmyard chaos. It's harvest time, and two rival gangs compete to bring a Fieldmaster tractor back to their bases. Farming is a deadly serious business in Blaine County. Dog walkers and surfing talent agents look out - two import operations at either end of Chumash Beach are fighting over a shipment that's landed on the pier. Any product they can get to their spot in the sand is theirs to keep. The contested package at the heart of a firefight. Increased cash payouts for losing teams in Last Team standing and Team Deathmatch. Increased the cash and RP rewards for Races with multiple laps. Cash payouts for Parachuting now take points scored into account. Improved spawning for Deathmatches where the spawn points were previously very far apart. Improved support for Chinese, Japanese, Korean, and Russian in the Creator. Calling the mechanic now shows you if a vehicle on the list is destroyed or impounded. Team balancing does a better job of putting friends and crew members together. BETA Crew Head to Head matches are now available to play. To initiate a Crew Head to Head, you'll need to create a Playlist that does not contain Vehicle Deathmatches, Survivals or any Jobs that require more than 2 teams. From there, go into My Playlists and you'll see a prompt for Head to Head (BETA). This will launch the lobby and you'll be able to invite other players from your Crew, Friend's Crews or Skill Matched Crews. Player blips no longer remain red on Missions when the player has a Bounty. Players who end a Race as DNF are now awarded cash relevant to the amount of checkpoints they passed through during the course of the Race. Players who race solo now earn cash. Previously, zero cash was awarded for a solo race. Last Team Standing, Capture and Missions are separated out in the Create Playlist menu. Small deduction to the amount of cash the winners of Races, Parachuting and Last Team Standing matches receive in order to increase payouts for all other participants. Masks are now removed during Races where a helmet is required and are also removed by default when a player uses the Smoking animation. The Purchase All Ammo option now charges the full value of filling all player held weapons with ammo. 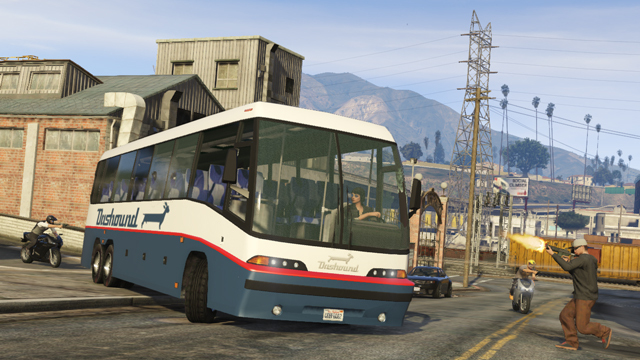 Fixes an issue where GTA Online players could reach North Yankton. Fixes a rare issue where characters could be lost if the player attempted to join GTA Online when disconnected from the Network. Fixes for various duplicate vehicle exploits. Fixes issues when using the Character Select from inside the Creator. Fixes issues with ammo vanishing after testing a Deathmatch in the Creator. Fixes exploits of the Fastest Lap bonus. Glasses from the Beach Bum update now appear in the inventory menu. Players in Tanks now have more protection from other players attempting to deliberately give them a Bad Sport rating. Bad Sport timers now read properly and show the correct time left in the Bad Sport lobby instead of “00d00h00m”. Join us in the GTA Forums to discuss the latest addition to GTAO! The issue with female height is nice, but I would like to know where all of our rat loaders went? That was at least 100,000 down the drain. Without warning. And the issue with people with tanks. Apparently they can blow you up in your personal vehicle and not have to pay for it. And there is still a glitch with picked up weapons in deathmatch. I lost all my sticky bombs the other day. And this was something that was suppose to be addressed in this update. Ok I understand that. But girls are naturally shorter than guys. So with heels they should be as tall. Not to nitpick..just wondering if the adjustment could be made. I have seen some really short guys and there seems no way to make the girl short even with sneakers on and no heels. I know a lot of people who play a female toon and they all said the same thing. Thanks for you time. Everything looks great. But will there be a patch for the female characters height. My toon is a female and she is really tall. Towers over all the other players. She looks good just odd that she is so tall. I have tied several times making female toons and they all turn out tall. Just wondering if this will be addressed. Thanks for all the hard work Rockstar! 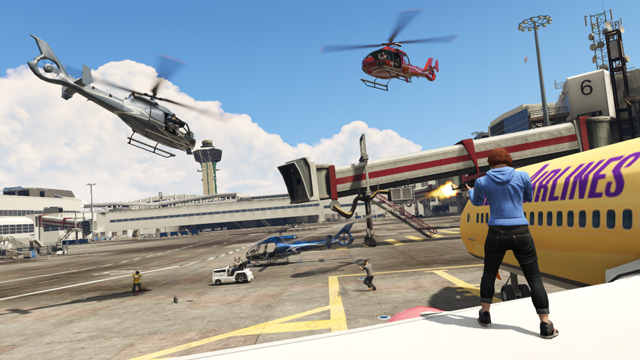 GTA Online Mode 'Capture' Coming In Next Title Update - Title Update 1.08 on Wednesday will introduce the new online mode 'Capture', as well as other tweaks to the online experience.